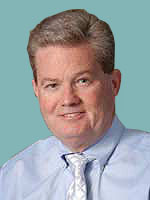 Dr. Gormley is a graduate of Tufts University School of Medicine. He completed a pediatric residency and a fellowship in the Department of Emergency Medicine at Children’s Hospital Medical Center in Cincinnati, Ohio. He has practiced in the New Bedford area for more than 25 years.